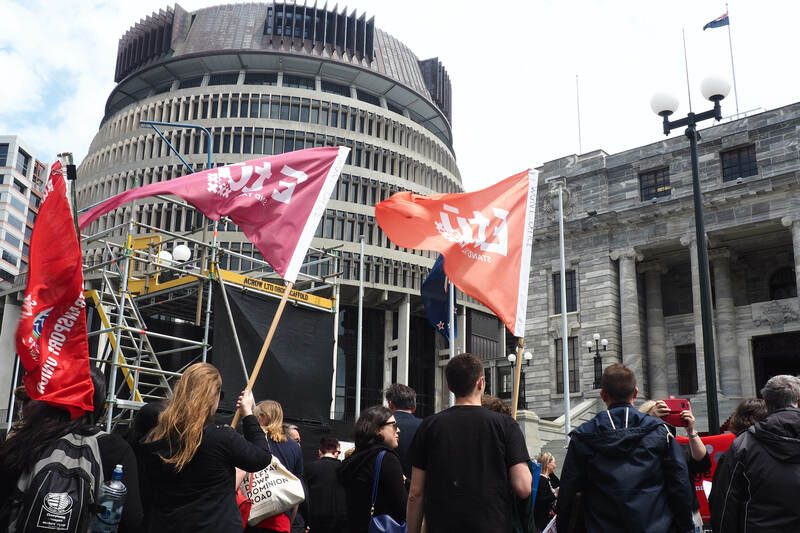 E tū has welcomed the budget as a first step in dealing with some important priorities for working people, with much needed investment in the health, education and welfare of all New Zealanders. As well as initiatives which will reduce medical costs for many E tū members, the Budget includes a massive investment of $42 billion dollars over four years in capital spending. This includes billions of dollars in new capital for hospitals, schools and homes, as well as new infrastructure including rail and roading. “As well as the financial fillip for the economy which this will provide, it also means thousands of new jobs in industries such as construction,” says Bill Newson, E tū National Secretary. “It’s good to see the spending committed to addressing the country’s social and infrastructure deficit. “Yes, the economy is doing well, but the benefits have not been shared fairly. This budget puts money where it’s needed, in health, education and housing which will also help our many members on low incomes,” says Bill. Bill has also applauded the commitment to increasing the number of labour inspectors. “This will help enhance the inspectorate’s ability to monitor and investigate labour abuses which are rife across many of the industries we represent,” he says. Bill has also urged a collaborative approach to the Government’s new initiatives, saying businesses, unions and government agencies need to work together. “The challenge is to bring together the many parties with a stake in our economy, to plan how to leverage the many opportunities included in this budget. That includes workforce planning, so we have the workers we need to meet the targets set by the Government, and a plan for the future of work.